This bookmark with a leaf motif pressed into the silver. The bookmark weighs 20g and has space for a small amount of engraving. I'd be happy to discuss other motifs. 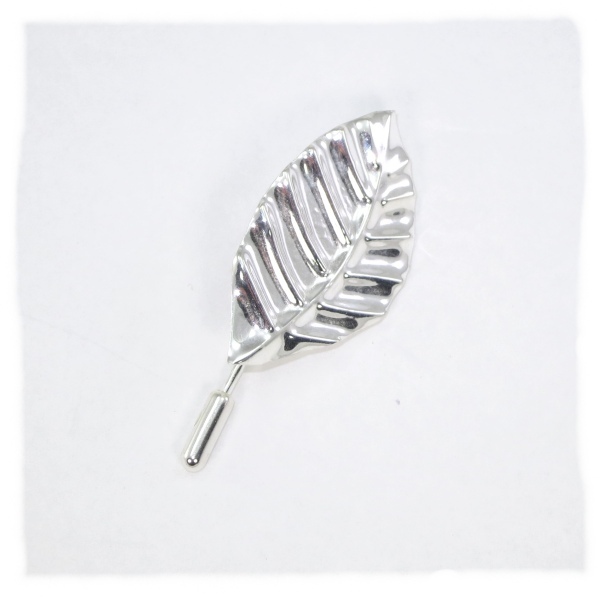 The leaf motif as a pin. The leaf is approximately 20 by 36mm. It is fully hallmarked. 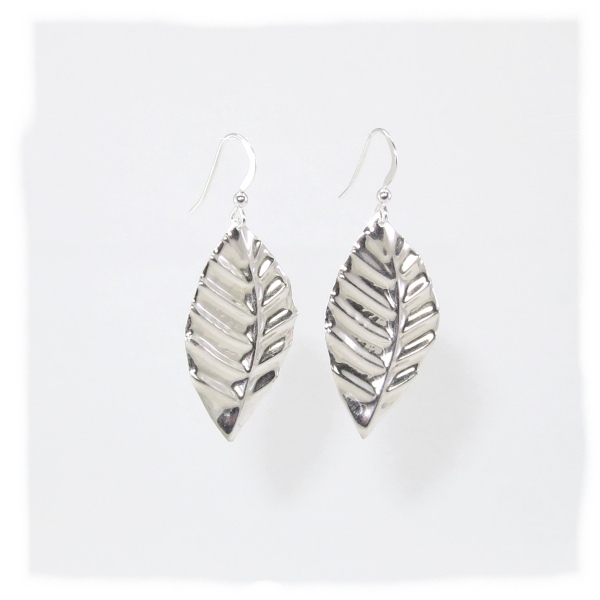 The same leaf motif as earrings. Shown here as loops, but a range of fittings can be provided - including those for non-pierced ears. 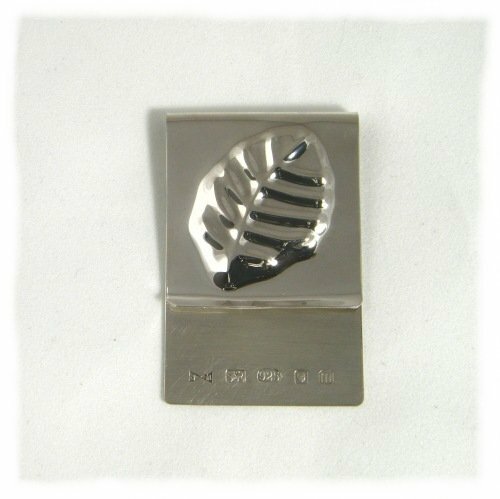 Each leaf is approximately 20 by 36mm and is fully hallmarked.